This is a little fix for a little niggle that a few other players have spotted as well. 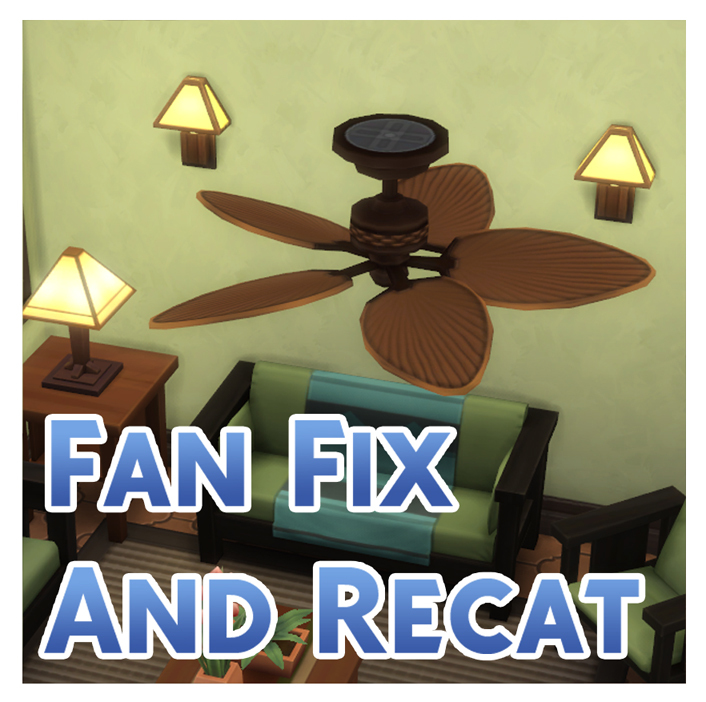 If the animated ceiling fan that came with the August 16th patch were to exist in the real world it would be rotating the wrong way based on the angle of the blades. Instead of pushing the breeze towards anyone sitting below, it would be pulling the air up toward the ceiling. This file alters the fan to spin in the other direction. It also moves it from Misc. Decorations to Misc. Electronics because the Misc. Decorations section is cluttered enough as it is already. This file overrides the model shader info to alter the speed setting from -3.5 to 3.5 making it spin at the same speed but in the other (correct for cooling) direction. It also removes it from the Misc. Decorations section of the Build/Buy catalogue and instead places it in the Misc. Electronics section which, to me, makes much more sense. The gurus doing the live stream showing off the new content even looked for it in Electronics to begin with. 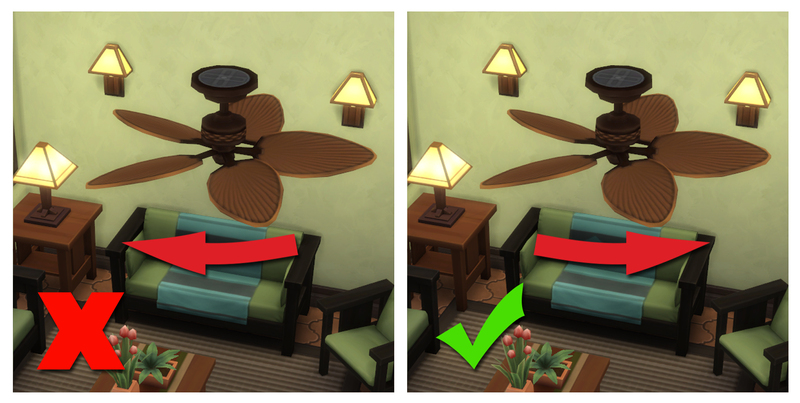 If you use the eyedropper tool on the fan to get another, the game still goes to misc. Decorations instead of Electronics for some reason. I couldn't get that to change. 204 people have said thanks to Menaceman44 for this download.